Oil Painting Medic: How do I Paint Ethnic Skin Colours in Portraits? 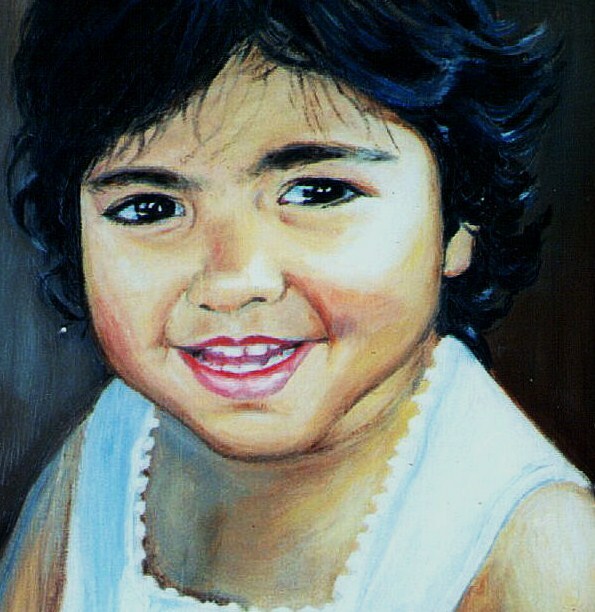 How do I Paint Ethnic Skin Colours in Portraits? Painting portraits of people with dark skin could be a challenge for the portrait artist if normally painting people of white European origin. The beginner may simply add black or brown to skin colours, resulting in an unconvincing colour of dark flesh. 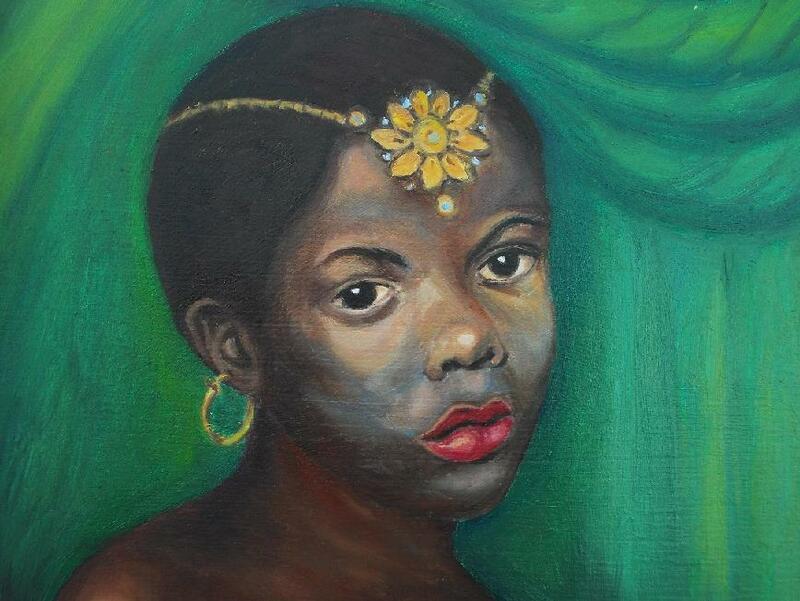 How can the artist paint dark skin with realism? Rendering dark skin, such as African, Indian or native Aboriginal skin colour by adding black to a premixed skin colour pigment. Introducing white to a very dark skin colour such as African to express highlights, resulting in grey. Assigning a separate flesh colour pigment for different skin colours, such as using “flesh tint” for white skin, or “yellow ochre” for Chinese skin and “sepia tint” for Indian skin. Having lots of earth colours, beiges and creams at one’s disposal for every skin colour imagined, causing a chromatically cluttered, confused and dirty result. Making assumptions about the colour of different skin, such as using any brown that is handy and using it for a portrait of an African or Indian person. Again, due to assumptions, using yellow pigment as part of the Chinese skin colour palette. Neglecting to use light tones or bright colours on a portrait of an African or Indian person, even when apparent, because the notion of dark skin gets in the way. Watch my video clip on mixing skin colors of ethnic races. I have found numerous oil pigments unnecessary for rendering different skin colours. I never use “flesh tint” and am much mystified to the popularity of yellow ochre, which in my view just makes the colours appear dirty and jaundiced. The basis of all skin colours, including ethnic, Indian, African and Chinese skin can be mixed by the use of the following limited selection of oil paints of various ratios. Other colours can often be seen in dark skin colours, as they can be seen in Caucasian skin, such as violets, greens and yellows. But dark skin will appear to reflect bright colours more easily than white skin, due to the contrast. Look out, also for reflected light. This is reflections from neighbouring bright objects on the skin, causing shadows to soften. Reflected light is great for bringing out facial contours. As guide, I have found the following skin colours can be mixed by various ratios of oil pigments. This is a guide only, but may help in getting the base colours for different skin types. A good range of art materials for portraiture of course would help. List of pigments begin with the most prevalent. Burnt sienna, ultramarine, white and burnt umber. Small amounts of pthalo blue can be added for shadows, and additional permanent rose for a little warmth. Be careful when using cadmium red or the skin colour could look orange. If this happens, tone it down with a little ultramarine and white. If Indian skin has a cool cast, a little pthalo blue can be added, although I have sometimes found a greenish tinge in some Indian skin, in which case, I will add (the tiniest) viridian and burnt umber to the skin colour. Burnt umber, burnt sienna, ultramarine and white. Very dark skin can be achieved by the use of burnt umber and a little permanent rose. Ultramarine can be added for shadows. Pale colours may consist of burnt umber, a touch of permanent rose and white. Avoid simply adding white to a very dark colour (such as burnt umber and pthalo blue) or it will turn out grey. A little burnt sienna may take the coldness out of the skin colour. Avoid using yellow or yellow ochre for Chinese skin. The following oil pigments can be used for more realistic effect. Burnt umber, pthalo blue, white and burnt sienna. Olive skin can be achieved by mixing burnt sienna, a little burnt umber and white. Darken Asian skin with a little ultramarine for warm shadows. Take care when lightening Chinese skin or it could look too brown. If this happens, introduce more burnt umber and/or little pthalo blue with the white. Dispelling presumptions about the colour of an ethnic person’s skin is the key to painting realistic portraits of ethnic people. A limited palette of oil pigments is all that is required. Close observation will reveal unlikely colours within ethnic skin, such as violets and blues, but the basis of all skin colours can be found within the aforementioned colour guide. See my Youtube clips showing how I painted the dark girl in Rossetti's the Beloved. 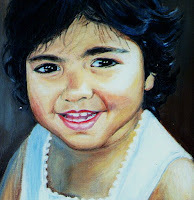 This painting was completed in 2 glazes and therefore 2 sessions. Notice heightened depth of skin tones are reached on the 2nd glaze. Oil colors used were cadmium yellow, burnt umber, burnt sienna, ultramarine and varying amounts of white. Alizarin crimson was used on the mouth. The trickiest part was the complex skin color-shapes around the nose and cheeks. Fine sables were needed around the eyes. What colors do you use to make high lights on "dark" skin, Hispanic skin? It depends on the lighting. For soft highlights, try using the tiniest dab of burnt sienna and ultramaine with mostly white. For warm highlights, cut out the ultramarine. If the skin is particularly dark, replace burnt sienna with burnt umber, but only the smallest amount. Looking for colour temperatures in highlights is the key to creating convincing highlights in (any) skin. I love you for this.Thank you lots.P.S. I admire your diction. Glad to hear you found my post helpful!